When we learn about the 7 continents of the world, we learn about each continent separately. This is one of the units we did on North America countries. 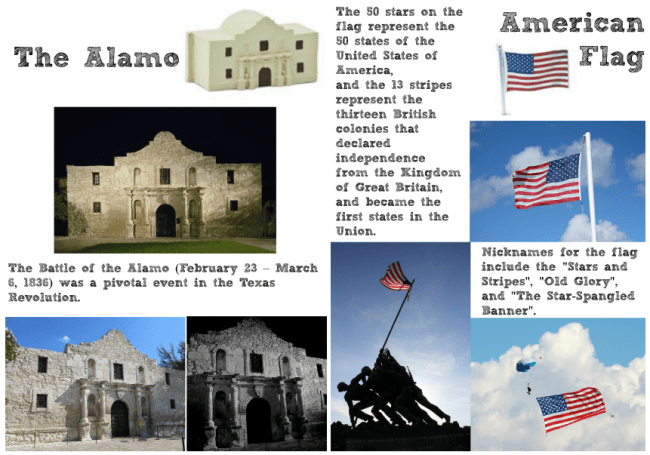 There are 8 sets on these North America countries with a total of about 12 activities (a total of 40 pages). 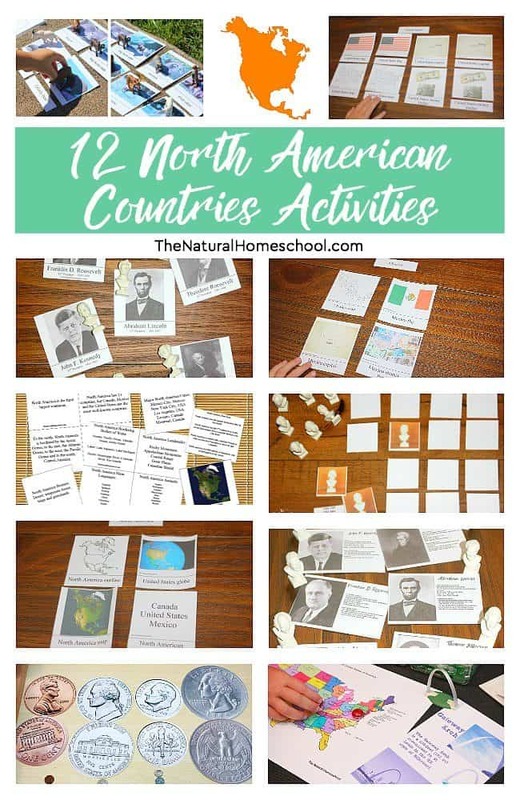 You can use these activities separately, just for fun or you can make these some pretty complete Geography lesson plans. After all, you have everything you need to put something great together. 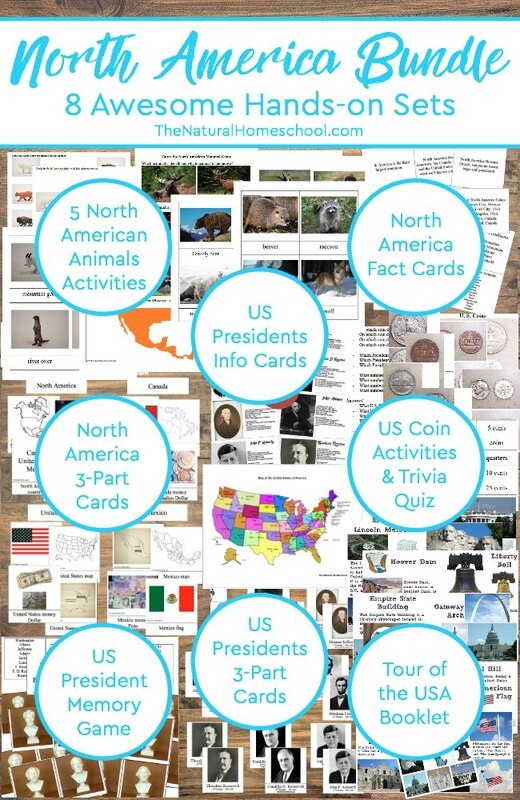 There are maps of North America, games, 3-part cards and more! The maps of North America are fun to explore and learn the 3 countries that make up the continent. Do your kids know if the USA is in North America or South America? This unit will be perfect for that and more! 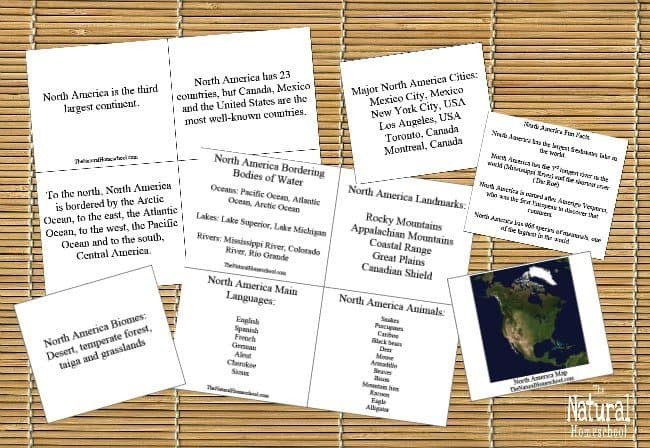 These Geography printables are awesome! 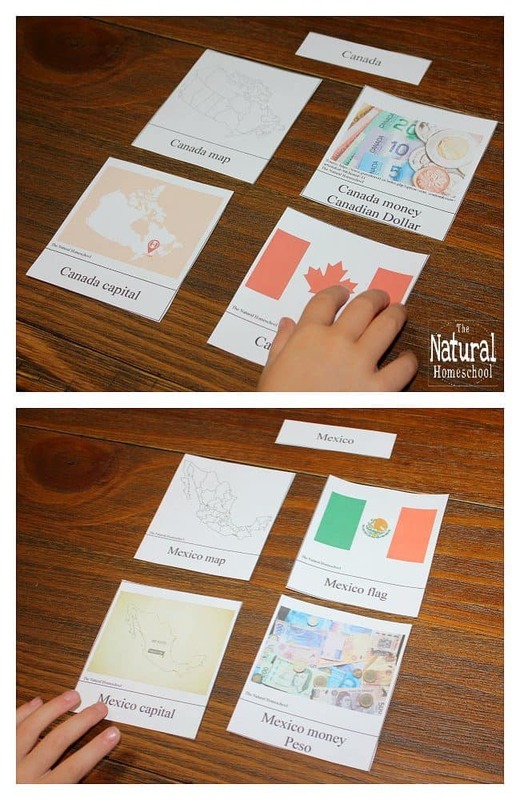 Get the map of North America for kids to study or memorize. 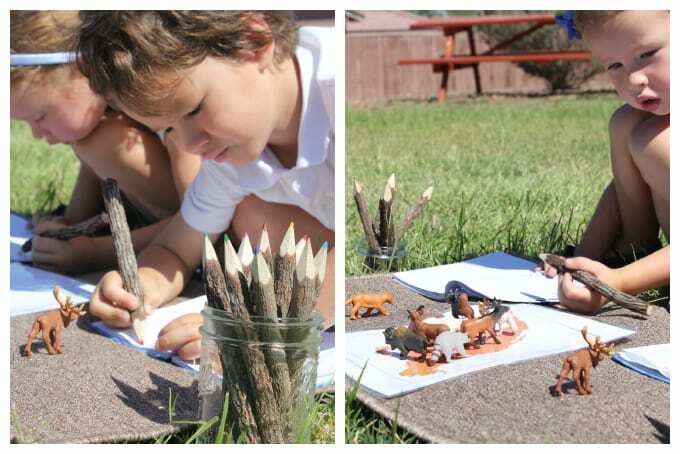 The animal activities are so much fun to research. Learning about some of the US Presidents is also a great way to learn History.